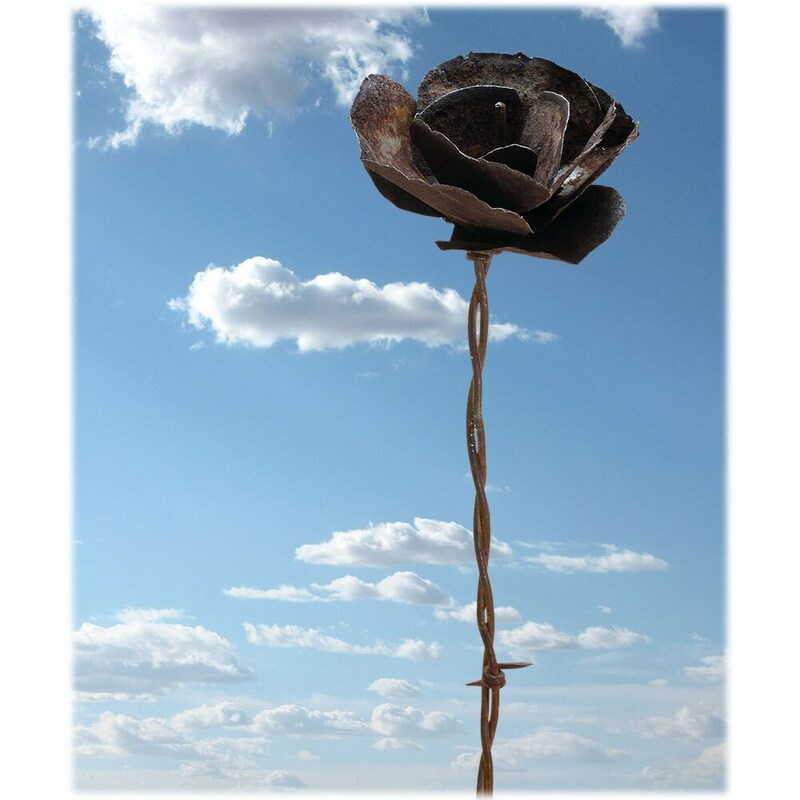 This listing is for one single Barbed Wire Love metal desert flower. 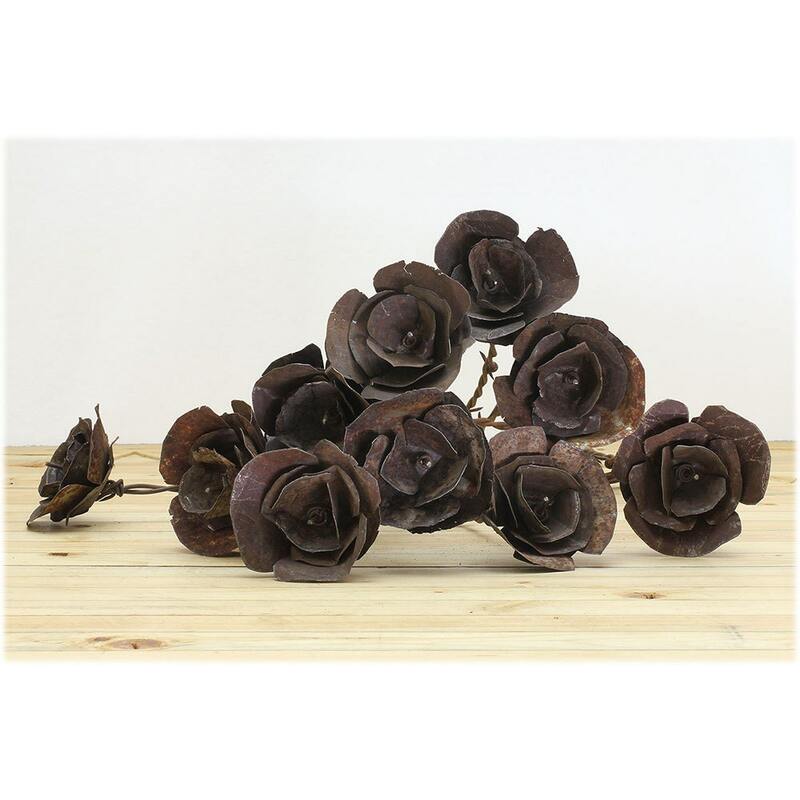 From trash to treasure, these rusty flowers bloom from our Sonoran Desert adventures. 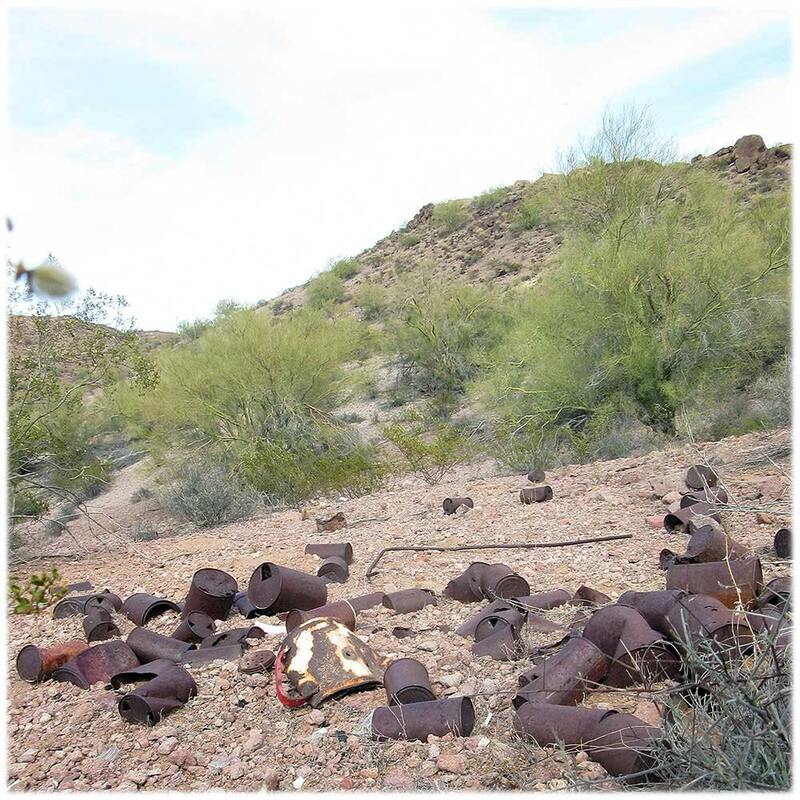 We spend lots of time jeeping around in our awesome “backyard” wilderness, scavenging metal cans, scrap and wire from the junk piles of ol' timey miner's camps. This listing is for one Desert Flower. Such a neat item! Perfect for our farmhouse, fits right in! 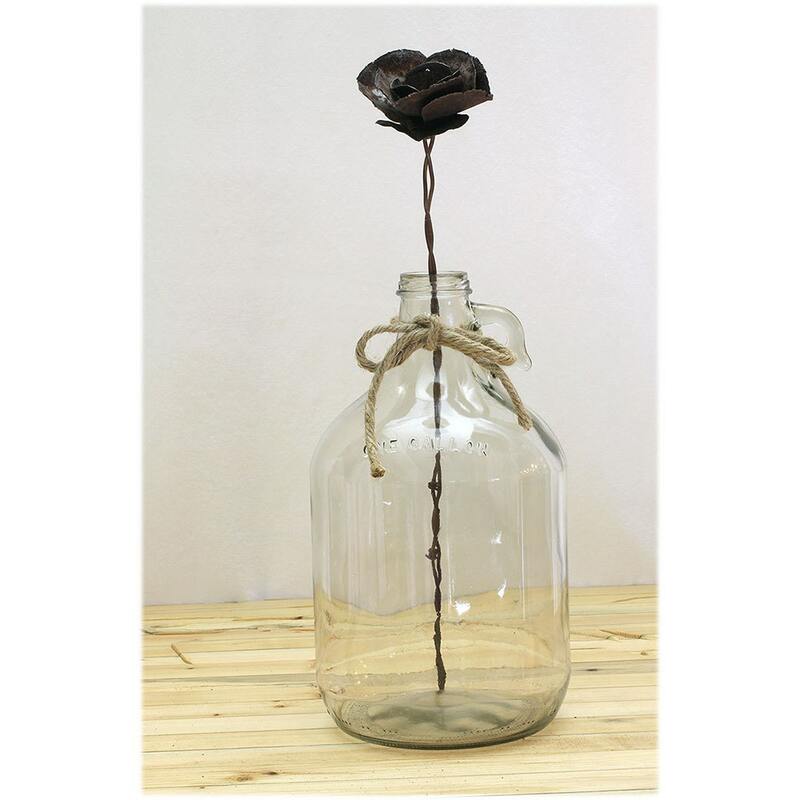 I bought three flowers and put them in an old glass milk bottle. Love them! Love this flower..a beautiful piece of art..